Adidas has been earning its iconic three stripes for over 50 years, and their foray into the world of CrossFit shoes has delivered no surprises: form and function without sacrificing elegance. Never one to shy away from competition–whether on the field or court, in the box or boxing gym–Adidas commits fully and once again, “Is All In.” If you’re one of the many like-minded, crazed-up “cultfitters” hitting one of the 10,000 boxes across the nation, here’s a roundup of the latest shoes from Adidas. 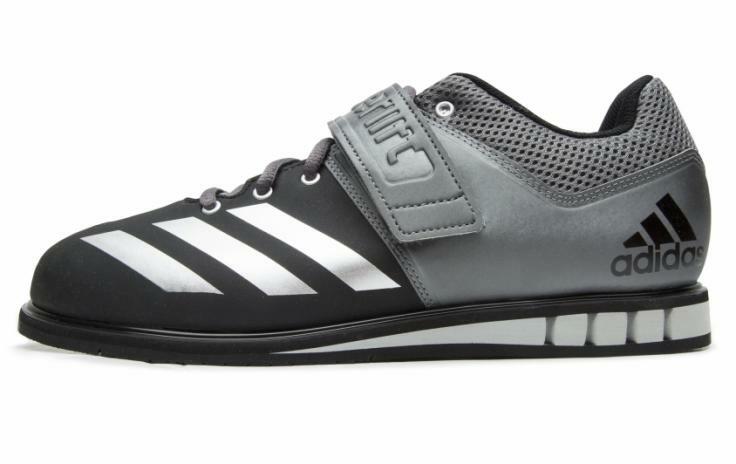 First and foremost, this is a weighlifting shoe. And while yes, there’s more to Cross-Fit than lifting weights (like squats and box jumps), there’s a heck of lot of the former. So, if you’re going to optimize for anything, put your money where you’re feet are: stuck for dead-lifting. 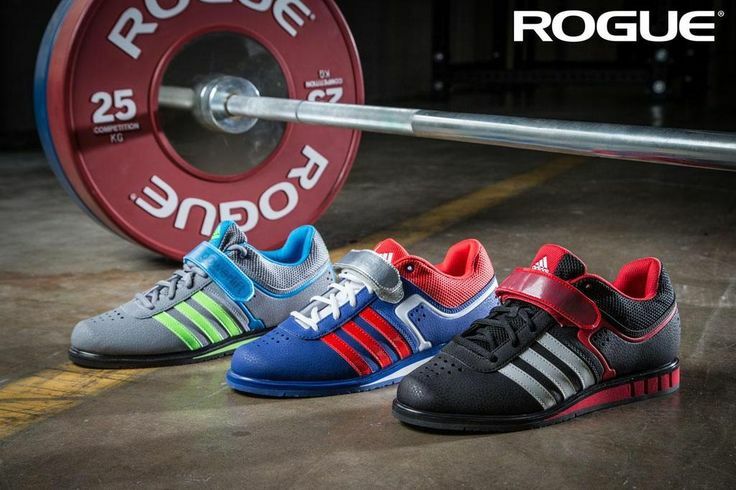 These top crossfit shoes are lightweight, made of leather, and optimized for support and stability. They boast a strong mid-sole and an adjustable strap at the instep for locking in. They have an injected polymer base for support and cushioning, an anti-slip rubber sole, and side vents for breathability. You don’t want your feet sliding around when you’re lifting, and these will keep them secure yet supported. But the Adipower is no one-trick pony. Predominantly designed for lifting, yes, but they won’t let you down on your circuit. So, added bonus: no lugging around an extra pair of shoes or adding two minutes to change them every time you need to pick up the plates. If color matters, aside from some metallic gray accents, you can choose from black on black, or classic black on white. 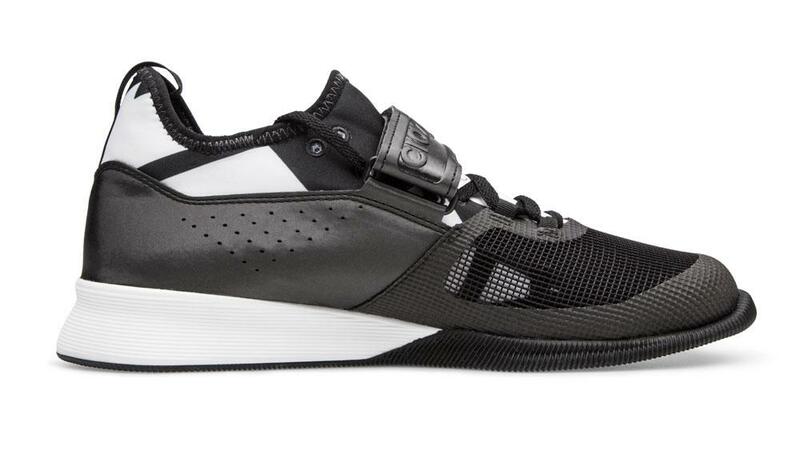 This is also a weightlifting shoe, but is a bit more of a generalist, so you’re going to get a little more bang for your comfort buck on this one. If you’re relatively new to CrossFit, or you want your sneakers to do double (or triple) duty, the Powerlift 3 is a more flexible choice. This gym cross training weightlifting sneakers exist in variations for women and for men. Designed for stability, but with added attention paid to both comfort and flexibility, this shoe breathes. It’s made of a lightweight synthetic leather (save the rubber sole), and has an open forefoot and a flexible toe. It’s built with an air mesh collar and tongue, and is extra wide. I know it’s a hassle to take your shoes off at the airport these days, but if you’re only taking one pair on vacation, you’ll be glad you packed these. They also come in a pretty nice royal blue, so if you’re not a diehard purist with the black and white, it’s a good option, especially if you don’t want to worry about looking like you’re heading to the gym all the time. Whoever chose the name for this one was right on the money. This shoe is a beast under the weights, and it looks and plays the part. Designed for staying low to the ground, specifically when doing squat, bench, and dead lifts, the CrazyPower has a lot going for it in the heel: it sports a slightly lower height than the Adipower (3 mm heel drop if you like stats), added support, and a wide base. It has the look and feel of a classic weight lifting boot; and if you consider yourself a powerlifter, this is one you should definitely check out. As far as the rest of your workout, it won’t disappoint, as it has enough support and flexibility to cover most of your bases, but this is not a shoe you’ll want to run in for long distances. And true to Adidas style and form, this isn’t a shoe you’re going to get a lot of color choices with: black on black (unless you count the camel-colored TRAXION outsole); or mystery blue. History might prove that CrossFit is on track to change the fitness game for good. It’s not since Jazzercise or aerobics swept through the 80s that we’ve seen such a committed wave of devotees. Either way, we are definitely seeing a revolution in the way people think about the gym and what constitutes a workout. I once heard a crossfitter refer to their workout as, “More than just a t-shirt.” I think that might be true; and if it is, who better to adorn the feet of the committed than the team behind the Wings + Horns?